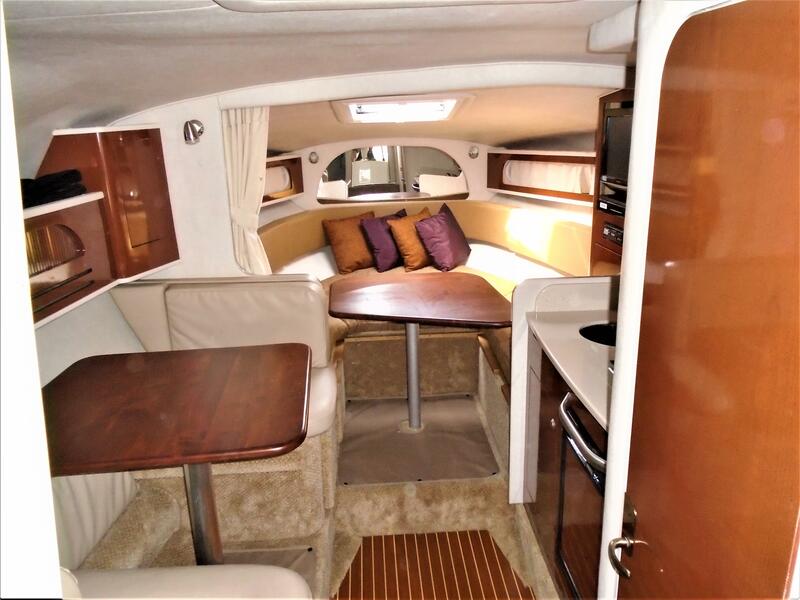 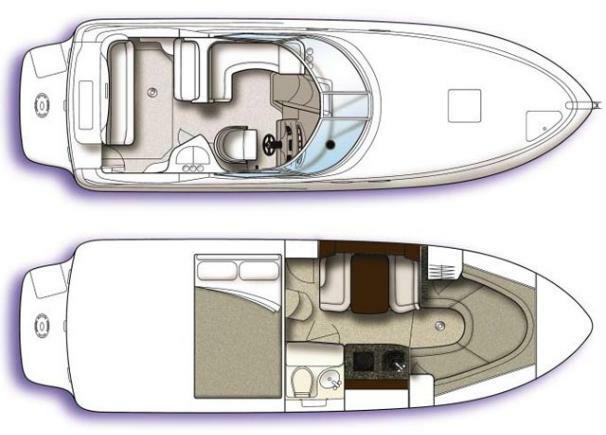 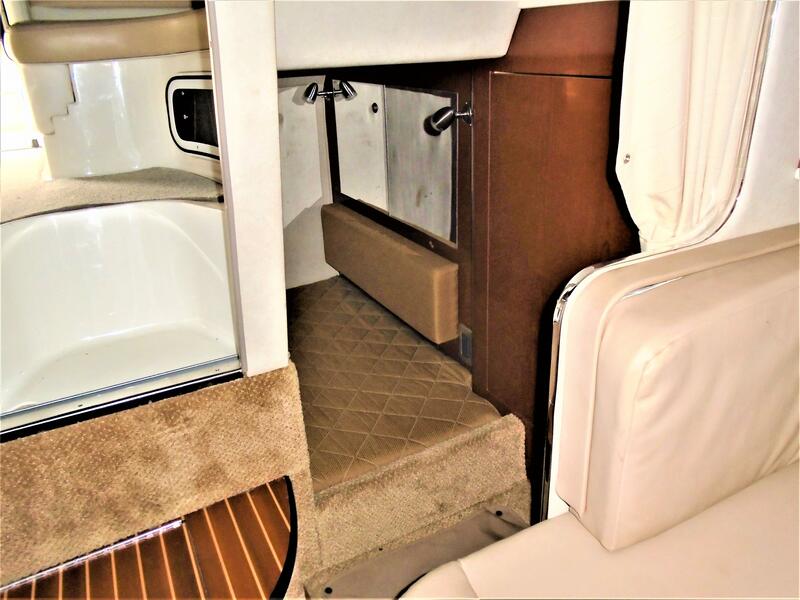 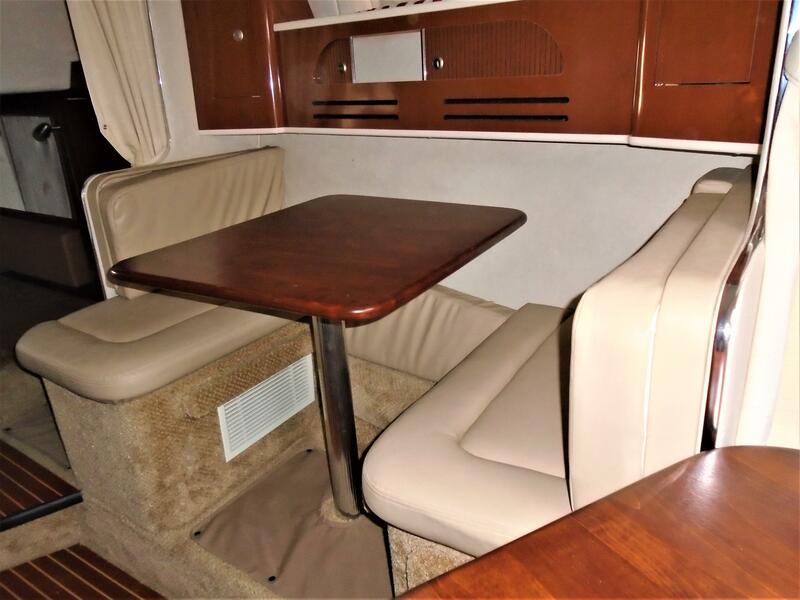 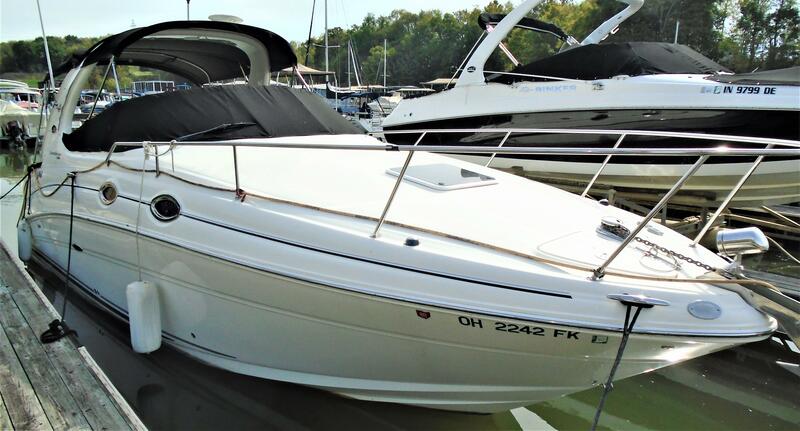 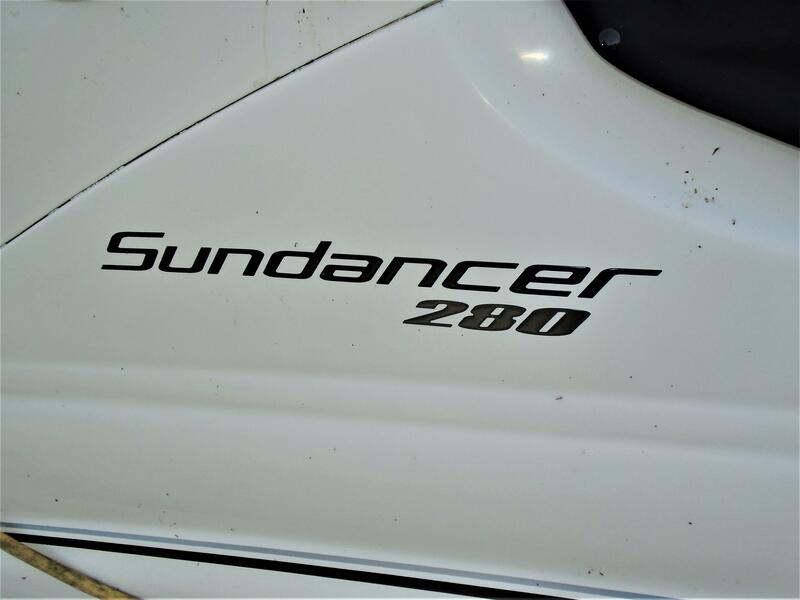 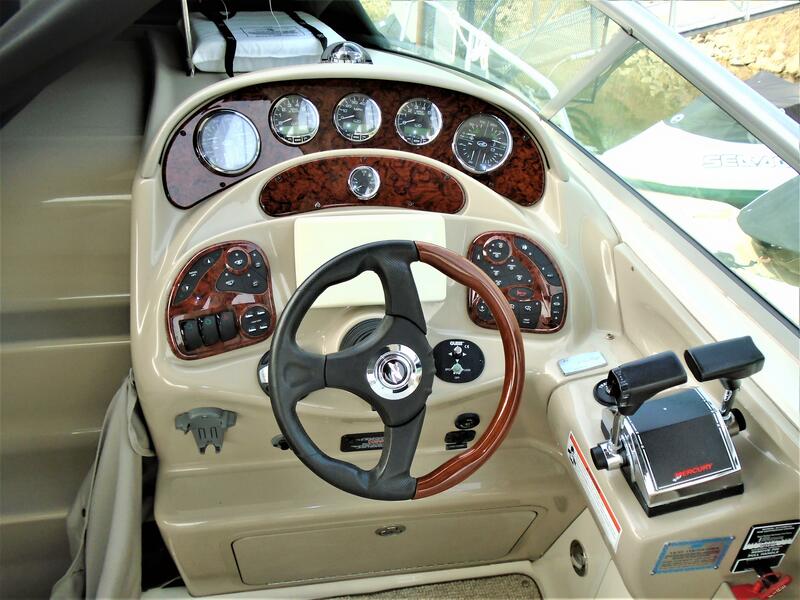 For a classic combination of beauty and power, just step aboard this dynamic 280 Sundancer. 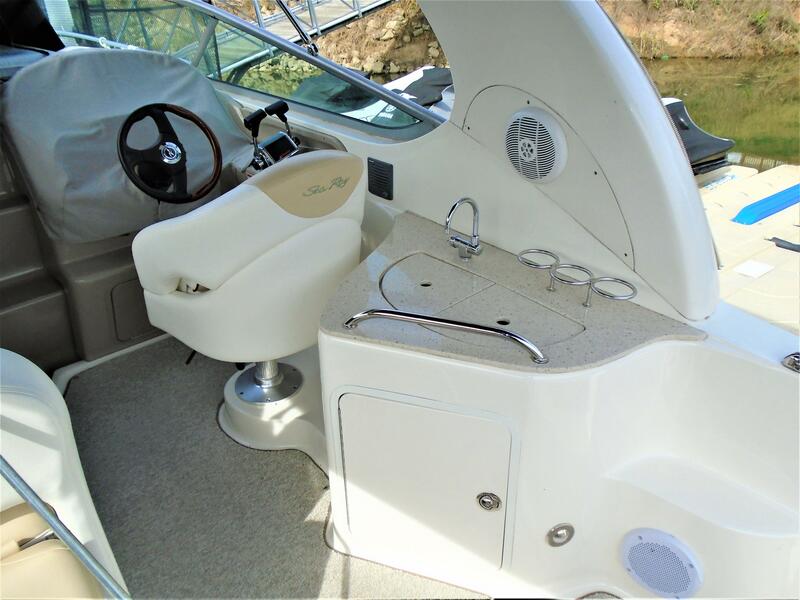 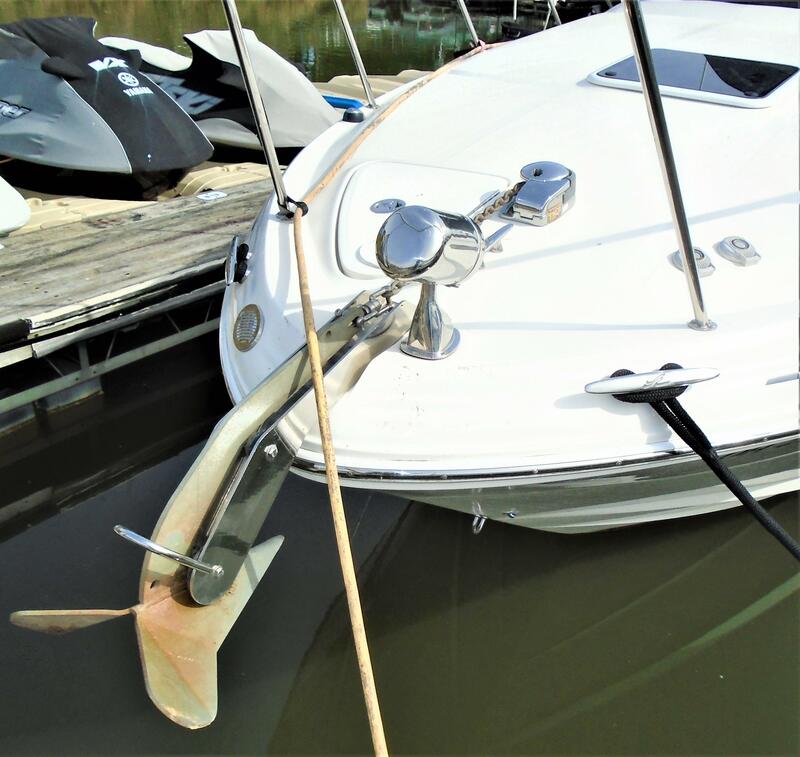 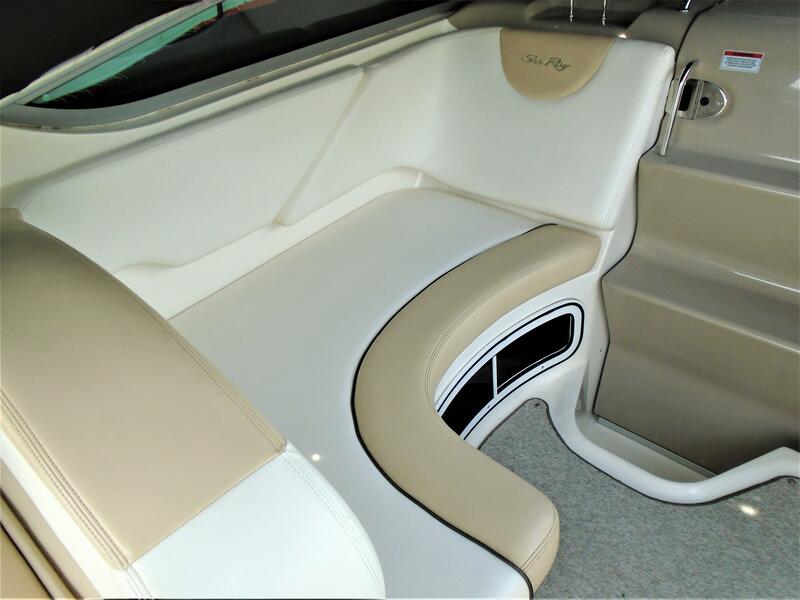 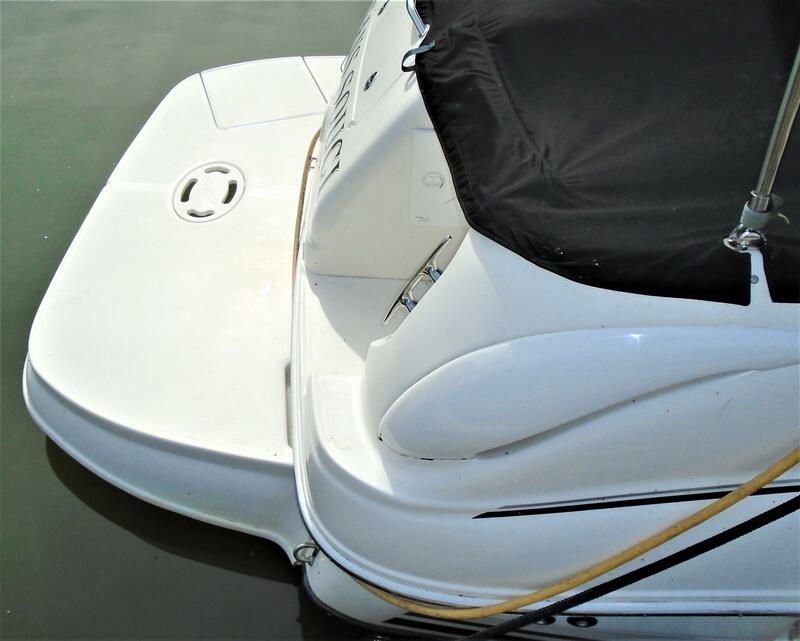 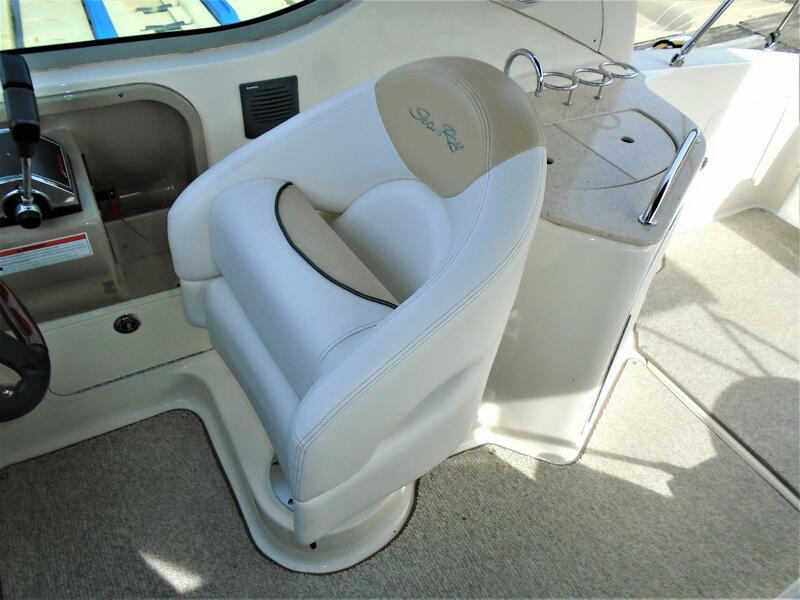 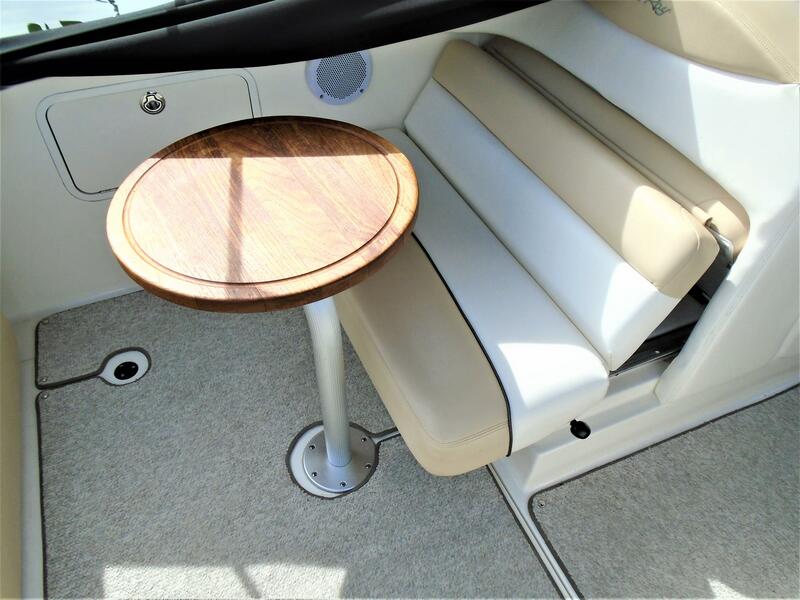 It's powered by twin Mercruiser sterndrives with 190 hours and features a sporty, molded-fiberglass spoiler with overhead lighting, plus an extended swim platform with concealed swim ladder. 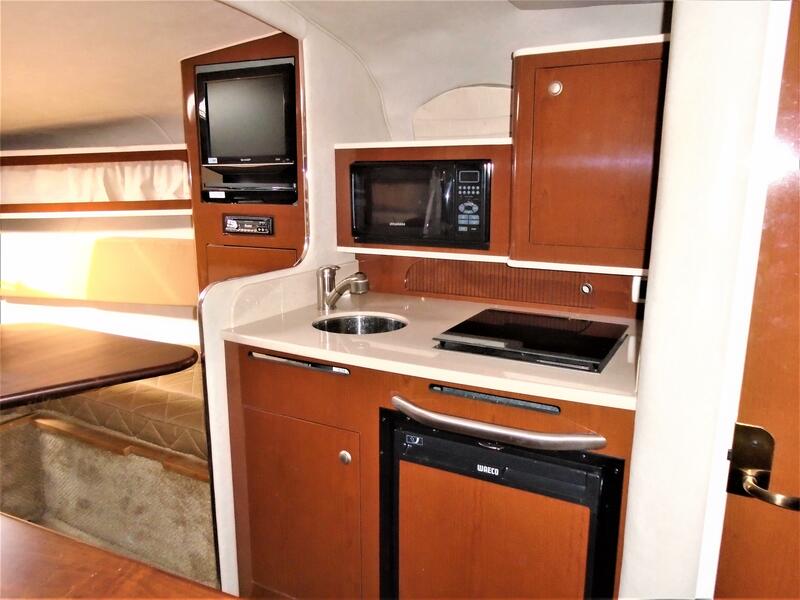 Additional amenities include AM/FM/CD stereo, removable carry-on cooler, optional flatscreen TV/DVD player, and hot and cold transom shower. 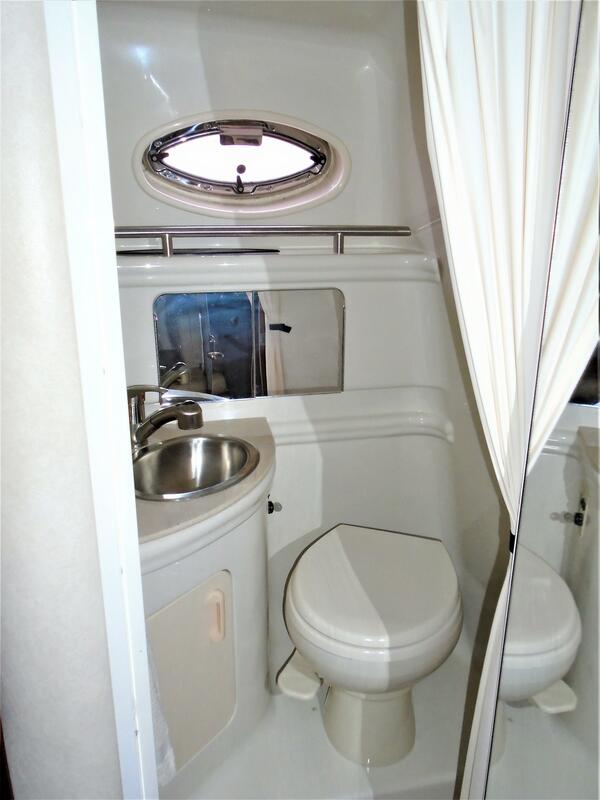 Includes a tri axle trailer!